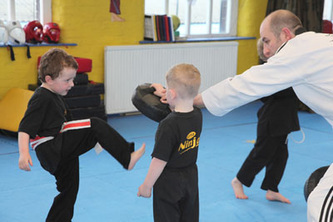 30 years and offers martial arts, fitness and education programmes for all ages from 4 years - 70 years. 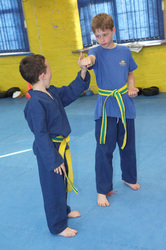 (4th Dan) and a part time Junior Instructor. The school Senior Master Instructors are Alan and Caroline Platt (5th Dans) who have constant links with the school. The exceptional quality of teaching and training the school provides has enabled it to become one of the largest and most successful Martial Arts Schools in Oldham. 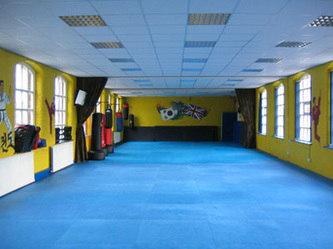 The premises are light, airy, spacious and welcoming. We offer martial arts, fitness and educational programmes to provide your child with the skills necessary for lifelong success. We encourage all our members to develop the qualities of self-control, focus, confidence, high self-esteem and leadership. Courses are available for all ages. 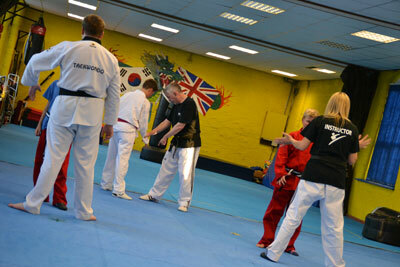 Our mission is to make our students more successful in life through their practise of Taekwondo at our school. 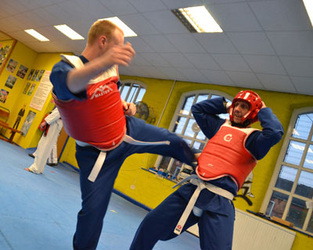 We do this by teaching Taekwondo as a complete discipline (mind, body and spirit). This, in addition to developing physical defence, encourages the formation of high personal standards and respect for fellow men and women. Through our practise and teaching we strive to produce individuals who are positive, respected and contributing members of society.